We're at the point in the season where the true contenders emerge, while the pretenders fall away. Sorry Neil, but it appears the same can be said about our NFL predictions battle for the 2018 season, as Jeff has stretched out into a five-game lead. Each week, on the Inside the Huddle podcast, Neil Reynolds and Jeff Reinebold make their predictions for every NFL game, keeping a tally of their records as the season goes on. Well, heading into their Week 14 picks, Jeff has streaked clear courtesy of another three-game swing in his favour last Sunday - wins for the Houston Texans, Baltimore Ravens and the Jacksonville Jaguars not only giving him the edge, but also earning him a back rub. After making a bet with Jeff Reinebold that the Colts wouldn't lose to the Jaguars, Neil Reynolds have to pay up live on air! 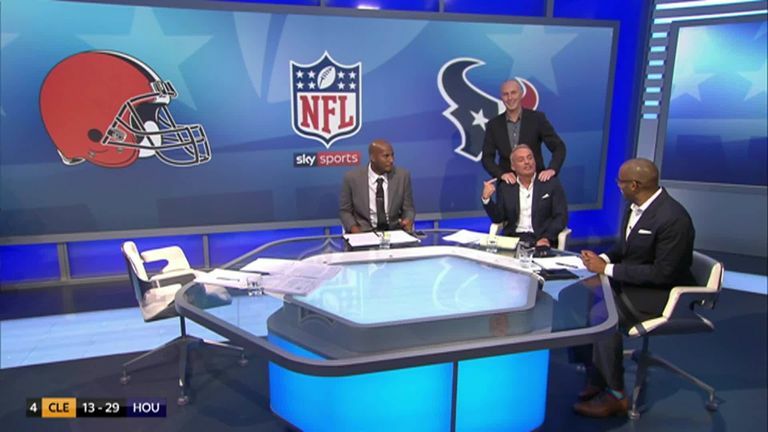 Inside the Huddle is broadcast every Wednesday on Sky Sports and available On Demand. DOWNLOAD THE LATEST INSIDE THE HUDDLE PODCAST. I like what the Ravens are going to offer in this one. It's a good matchup, with their No 1 defense going up against the explosive Chiefs. I just think Kansas City are too powerful at home. That's the only reason I'm going with the Chiefs, is because it's at Arrowhead Stadium. It should be a close game. I just think Dallas are the better all-round team of the two this season. Cowboys at home for me. Boy, I love the energy the Cowboys have played with in recent weeks, particularly beating the Saints last Thursday night. Will Bears quarterback Mitch Trubisky return from injury against the Rams? Rams for me. I think they have too much for the Bears, though it would be good for them to hopefully have Mitch Trubisky back at quarterback. I think the Rams are going to win it, but boy do I think it's going to be a very, very close football game with them coming up against that fearsome Bears defense. Can the Vikings pull off a shock win in Seattle? You've gone with the Vikings as your shock of the week on Monday Night Football. Well, good, because I was going to pick Seattle anyway. I've gone with Minnesota, just because I think the Vikings recognise this is a must-win football game for them. That sense of desperation they're going to have to play with will drive them on. Plus, I think this Vikings defense matches up better against Seattle that they did against the Patriots last week. 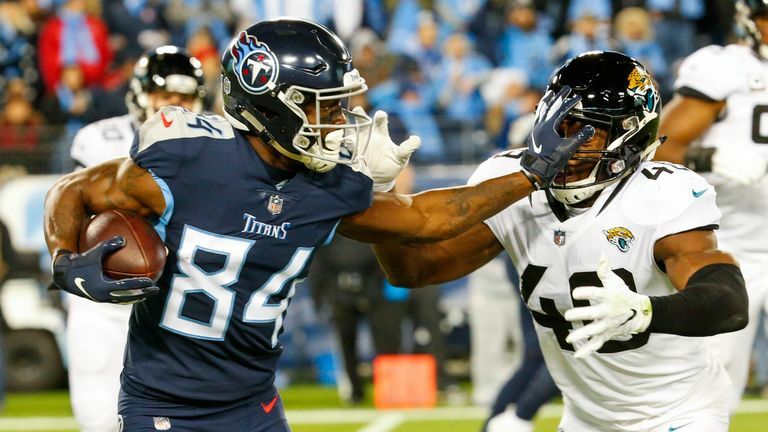 Highlights of the Jacksonville Jaguars' visit to the Tennessee Titans in Week 14 of the NFL. I'm very nervous about picking against Jacksonville, given the events of last week. So, I'm going with the Jags to get the win on the road in Tennessee. I'm never backing against them again! I'm taking the Titans. I think the Jags have done what they needed to do with that win to end the streak against the Colts last Sunday.